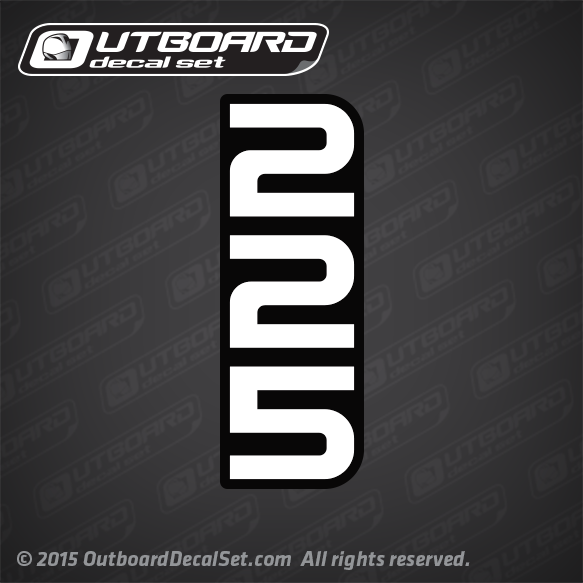 225 horsepower Vertical Rear Decal Only for 1994-1997 Mercury Racing Outboards. Sold by Each. As seen on DECAL SET 847984A94.